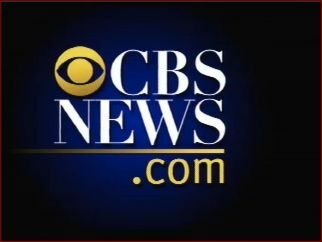 Without much ado cbsnews.com has pulled the plug from the Palestine Hotel video feed and has been streaming the following logo at 80 kbps for the last twenty-four hours (excepting the occasional new conference). I've been trying to figure out whom to email with my opinion, but no luck so far. 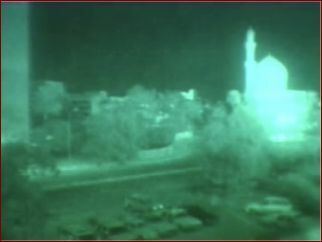 Ever see a mosque glow like that? I'm wondering what made it so heat-reflective: was it that warm inside or was it lighted from without? 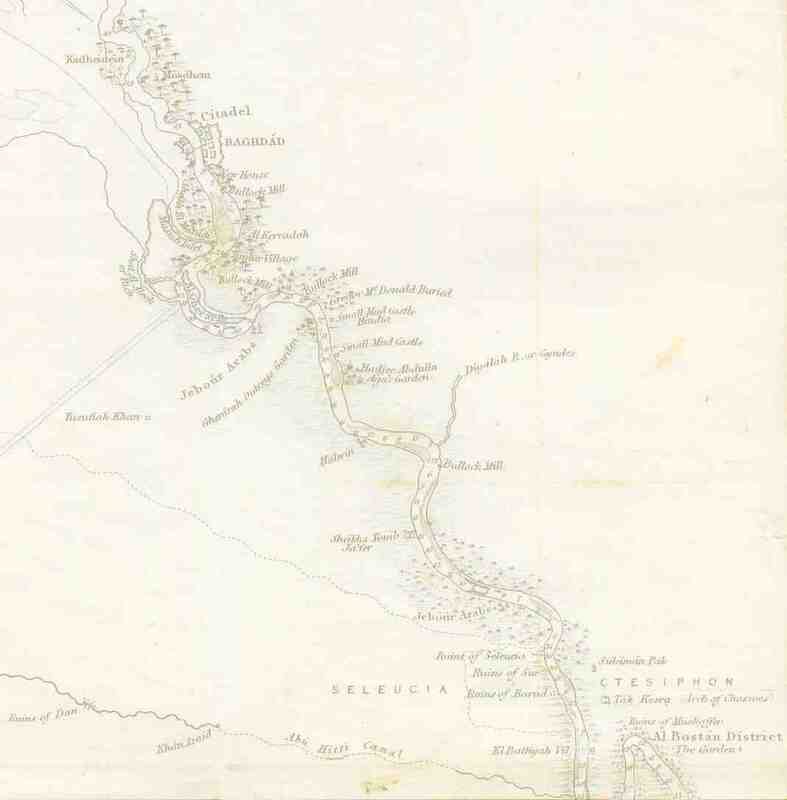 Anyhow, it's a quiet night in Baghdad. Even the looters have gone to sleep. Later, in early morning you can see cars beginning to be parked in front of the hotel. This is the most cars I can remember seeing here. 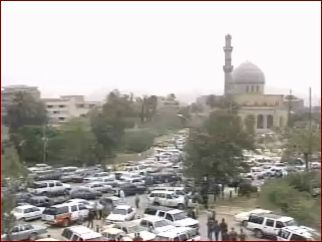 And this is the first day that Baghdad looks crowded. I get the sense of a happy crowd; cars parked every which way as people meet and greet each other after death rained from above. 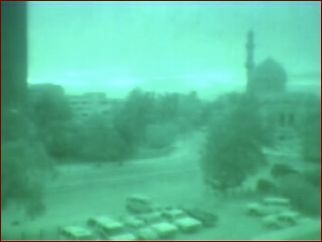 The first day of their post-Saddam lives.